A very strong, long lasting and solvent-free adhesive. Water resistant and can be painted or sanded. Syringe ensures an equal amount of each part is dispensed. Bonds metal, wood, masonry, ceramics, glass, leather, cardboard, fabric, rubber. 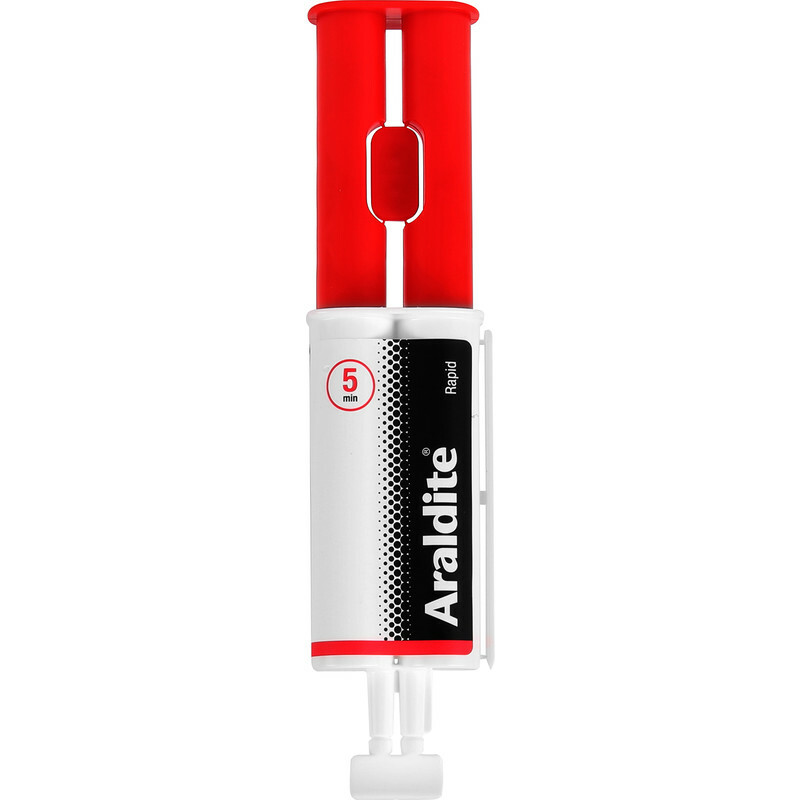 Araldite Rapid Two Part Syringe Epoxy Adhesive 24ml is rated 4.5 out of 5 by 2. Rated 5 out of 5 by Rob W from Simply the BEST This is the best adhesive money can buy Full Stop.